This little project is the perfect for anyone looking to add a little elegance to their holiday decor. 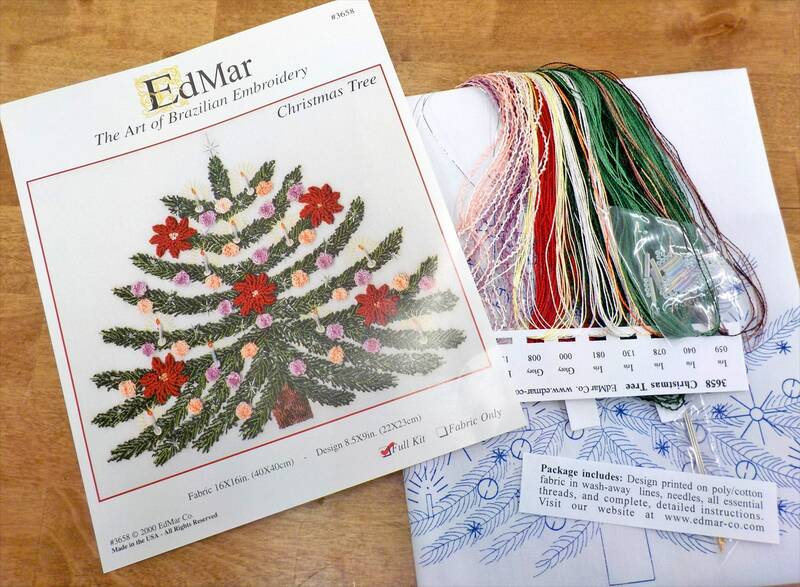 Complete with beads and metallic thread this project is sure to bring smiles this holiday season. Design printed on poly/cotton fabric (trigger cloth) in wash-away blue lines, needles, threads, metallic thread, beads, and detailed instructions.